One of the delights of writing a blog and chatting on Twitter is taking advantage of lovely opportunities that come your way and I was very happy to be asked by the multi-talented Helen of ‘The Good Life Mum’ to join her and Karen from ‘Missing Sleep’, a wonderful family and reviewing blog, in a sunflower growing competition. 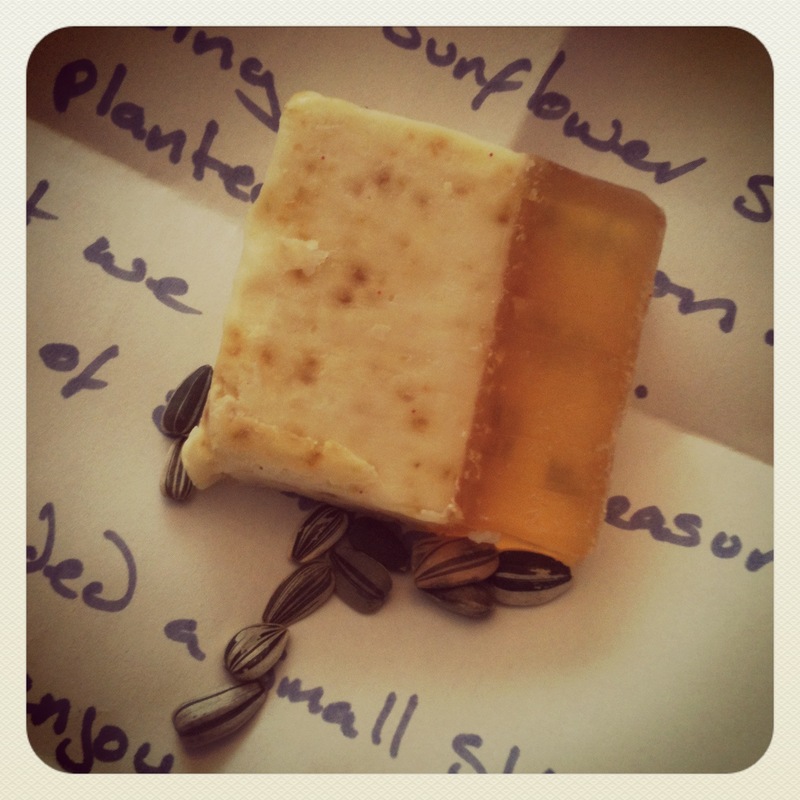 A few days after agreeing, a lovely letter arrived from Helen containing seeds and a slice of incredible citrus soap. I mentioned that Helen was multi-talented, and one of her talents is in soap making. My kids and I have utterly loved using this soap and I really recommend you take a look at her Bath Food company for yourself. As our two children have a plot on our allotment each, it will be a great way to encourage them to grow something special. I’m looking forward to spending some time this weekend on the allotment sowing our seeds with them, which will be good fun. We’re going to have a grand measure-in at the end of the summer to see who is the winner, at which point I’ll (hopefully) be able to share some photos of giant sunflowers with you all.